“If we think about our conceptions, they are not stable or something we can rely on. They are not firm because they are dualistic, and duality is deluded. Therefore our conceptions are not perfect. For example, in the early part of our liveswemayhavebelievedinsomething100%,thinking that it was perfect.Yet later in life we might completely refute this and adopt the opposite idea. So what happened? Who created that? Who made that? It was none other than our mind. Deluded mind is not reliable. If we think something is 100% beautiful,and then change our mind 100% the other way, it is not real. Every creation and division comes from our deluded, unreliable mind. 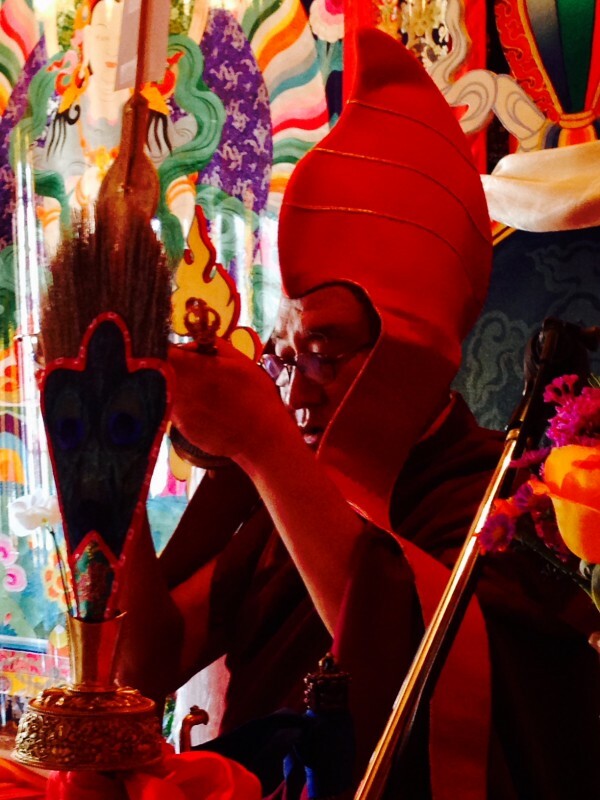 The Dzogchen and Vajrayana teachings say that the first thing practitioners must realize is that all appearances and everything they hear and think is their mind. This does not mean that we have to think that this tree is our mind, this stone is our mind, or this building is our mind. At this time, just think that the perceptions of the tree are our mind, the perceptions of the stone are our mind, and the perceptions of the building are our mind. Similarly, the perceptions of happiness are our mind, and the perceptions of suffering are our mind. Photo of Ven. Khenpo Tsewang Dongyal Rinpoche at Tashi Choling. Come to Padma Samye Ling for an Unforgettable Meditation Retreat! Taming the mind has nothing to do with cultivating certain thoughts; it is simply keeping the mind in its fundamental state, where its clarity and wisdom are revealed. The true nature of the mind is calm and clear and full of compassion and love and wisdom.